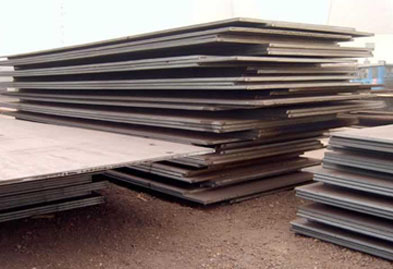 Jaydeep Steels is one of the prominent names in the field of Abrex 500 Sheets & Plates Supplier. Our happy and satisfied customers, based from all over the world have been using our Abrex 500 Sheets & Plates from a long time. To keep their trust in our products flourishing, we ensure the use of the best variety of raw materials and follow all the proper norms and regulations of manufacturing. Abrex 500 is the second hardest grade among the ABREX and is used for numerous purposes like manufacturing of concrete pumping equipment, mining liner plates, mixing blades, shredder blades, conveyor and chute liners, and much more. Our 500 Abrex Plates and 500 Abrex Sheets are widely popular because of their extreme resistant to abrasion caused by earth and sand. They also offer good workability and better weld capacity. With the use of ABREX material, comes the advantage of the reduced weight of the structural members, thus increasing their demand in the industrial field. They also offer higher payload, better machine-ability, and longer service life. At Jaydeep Steels, with the help of our futuristic machinery, better equipment, and skilled and experienced team members, it becomes easy for us to manufacture the top quality Abrex 500 Abrasion Resistant Plates & Sheets. Abrex 500 Wear Resistant Plates & Sheets come in play at those cases where work conditions include protection from extreme wear and tear. Keeping in mind the varied needs and requirements of our potential customers, we make sure to adhere ourselves to the proper manufacturing rules and regulations, as well as maintain the cost of the products within an affordable price range. 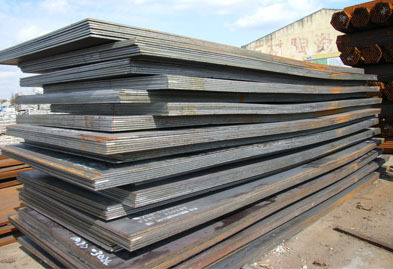 Jaydeep Steels is one of the most competitive suppliers of Sheets & Plates from India. Our prices for Abrasion Resistance Abrex 500 Sheets & Plates are very competitive. Please click on the request a quote button or click here to request the updated price list and ready stock information along with your requirement. Jaydeep Steels maintains a stock of all standard items and can export them at best price for Abrex 500 Abrasion Resistance Sheets & Plates. We maintain huge inventories of all standard sizes and grades. Please send us your complete requirement and we will send you the availability with the best quote for Abrasion Resistance Abrex 500 Sheets & Plates. Jaydeep Steels is a leading stockist, distributor, and supplier of Abrasion Resistance Abrex 500 Sheets & Plates from India. We maintain huge stocks and you can easily buy Abrasion Resistance Abrex 500 Sheets & Plates, Coils, Strips and other forms of Abrex 500 Abrasion Resistance at one of the best prices. Please use the contact button or click here to send us your requirement to Buy Abrex 500 Abrasion Resistance Sheets & Plates from Jaydeep Steels. Exporting Abrasion Resistance Abrex 500 Sheets & Plates to Singapore, Malaysia, Hongkong, Thailand, Indonesia, Taiwan. Other countries includes Afghanistan, Albania, Andorra, Austria, Bahrain, Bangladesh, Bhutan, Brunei, Belarus, Belgium, Bulgaria, Cambodia, China, Cyprus, Croatia, Czech Republic, Denmark, Estonia, Egypt, Finland, France, Germany, Greece, Georgia, Hungary, Iceland, Ireland, Italy, Iran, Iraq, Israel, Japan, Jordan, Kazakhstan, Kuwait, Kyrgyzstan, Lebanon, Latvia, Latin America, Liechtenstein, Lithuania, Luxembourg, Malta, Moldova, Monaco, Maldives, Mongolia, Myanmar (Burma), Nepal, North Korea, Netherlands, Norway, Oman, Poland, Portugal, Pakistan, Palestine, Philippines, Qatar, Russia, Romania, Russia, San Marino, Serbia and Montenegro, Slovakia, Slovenia, Spain, Sweden, Switzerland, Saudi Arabia, South Korea, South Africa, Sri Lanka, Syria, Tanzania, Tajikistan, Thailand, Turkey, Turkmenistan, Ukraine, United Kingdom, United Arab Emirates (UAE), Uzbekistan, Vietnam, Yemen.